A business proposal to China, an online order to England or daily product shipments to Canada, the USPS will meet your needs to these countries as well as 190 other international destinations. You can reach every corner of the globe right from your desktop with Express 1’s many software options. The USPS’s International Products are the most economical choice for most applications, and with no hidden fuel, residential or rural delivery surcharges, you know your actual cost when the package leaves your door. 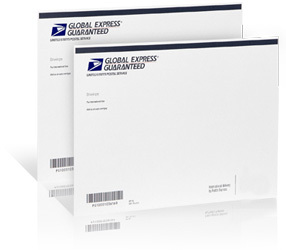 Further, with the USPS, you’ll get FREE Envelopes and Boxes for Priority and Express International Mail. With Carrier Pickup, customers can go online to request an Express Mail and Priority Mail package pick up at their homes or offices — FOR FREE. In 2011, through Carrier Pickup, more than 65 million packages were picked up at homes and offices. Shipping supplies ARE FREE. Priority Mail and Express Mail boxes, envelopes and labels, international mailing products and customs forms are available at no charge. Unlike other shippers, the Postal Service doesn't add surcharges for Fuel, Residential or Saturday Delivery. If you want your shipments to get in the hands of your customers as quickly and easily as possible, call us today! We’re ready to take all of your shipping volume—right now, seamlessly, and all for some of the most competitive prices in the market.